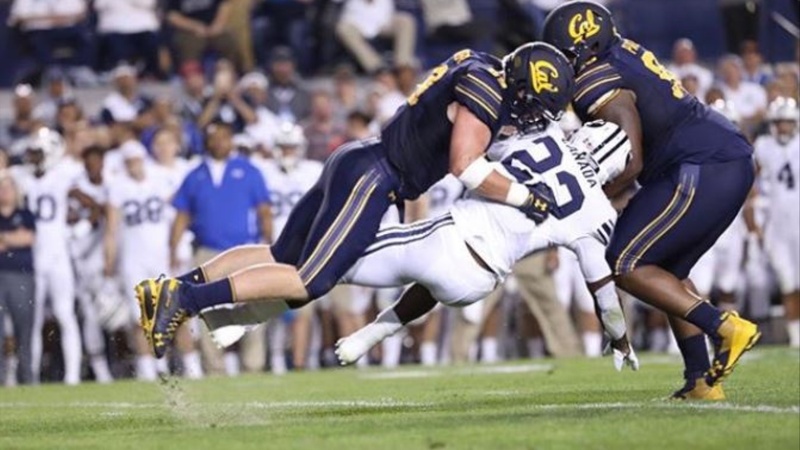 The Cal defense came up big in tonight's showdown against BYU in Provo, allowing the Bears to hang on for a 21-18 win in a game they never trailed. "I'm really proud of how the guys competed again – cioming into a place like this," said head coach Justin Wilcox. "It was a hostile environment. It was rocking. "This was a real physical team that was well-coached. We didn't play our cleanest, but we found a way to win. We didn't panic. Guys on the sidelines were always solving problems.